The General Assembly will take up legislation to resolve the GenX water pollution case and judicial redistricting and reform when it returns to special session Wednesday. But what else is on the agenda, or even how often and how long lawmakers will meet, remains a guess. The House Environment Committee meets at 1 p.m. and will consider a GenX bill. Chemical manufacturer Chemours has been releasing the compound into the Cape Fear River in the Wilmington area at elevated levels. Much remains to be determined about toxicity levels, but the release of the contaminant sparked intense concern locally and statewide. It’s expected the bill will be approved in the Environment Committee, pushed through the Appropriations Committee afterward, and placed on the House floor for a vote later in the afternoon. The bill will likely include a $1.325 million appropriation to the Department of Environmental Quality for temporary staff at the Division of Water Resources to do water sampling. The Division of Air Quality would take air samples, and the Division of Waste Management would test groundwater wells, soil, and crops. Joseph Kyzer, spokesman for House Speaker Tim Moore, R-Cleveland, said the pending legislation represents a considerable shift in approach and components. 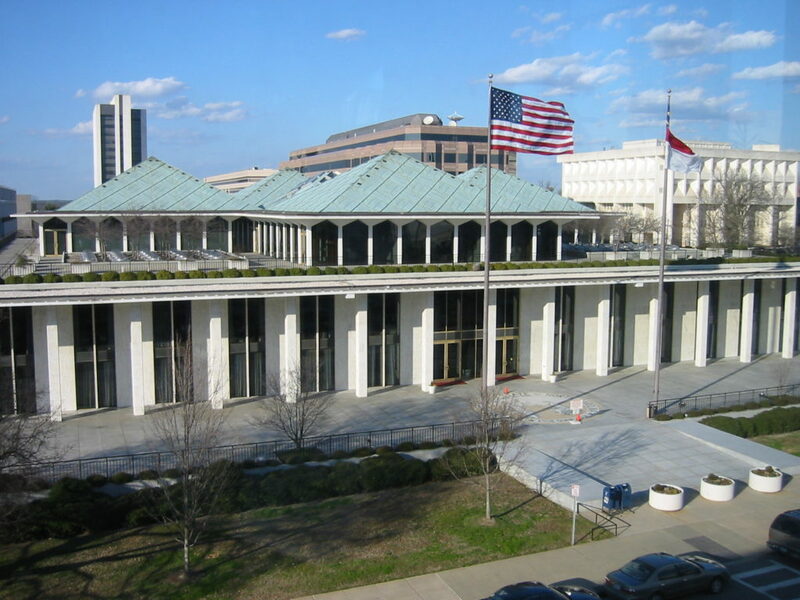 “The bill to be considered … is the product of the House Select Committee on North Carolina River Quality’s findings, and our meetings, and collaboration with the Department of Environmental Quality,” Kyzer said. “We believe these recommendations are more effective and position the department to be a lot more successful in addressing this emerging contaminant issue,” and DEQ has embraced the changes. “Generally, our members need to caucus before we can answer questions on agenda items,” said Shelly Carver, spokeswoman for Senate leader Phil Berger, R-Rockingham. They were planning to caucus Wednesday. Senate Rules Committee Chairman Bill Rabon, R-Brunswick, who serves as a sort of legislative traffic cop, didn’t respond to a request for comment. His office staff said agenda items were still under discussion. “There’s a lot of work to be done,” Rabon said last week, adding legislative leaders would not approve any judiciary changes during the special session. Berger’s office has said it expects the special session timeline will depend largely on the progress and recommendations of the Joint Select Committee on Judicial Reform and Redistricting. That committee was created last week to couple House redistricting measures with Senate intent to change the way judges are elected. “I have not been informed as to what issues might be on the agenda,” said Senate Minority Leader Dan Blue, D-Wake. He said voting in special session on constitutional amendments is permissible, but he has heard no rumblings that will occur. He said there are rumors the special session will comprise constant recesses, and short adjournments, until judicial redistricting is resolved. Moore has said the legislature might meet for two days, and take off a week or two to work behind the scenes. “If that’s the case it’s a tremendous waste of money,” said Blue, a member of the judicial reform joint committee. Blue believes some form of judicial reform might be necessary, but has steadfastly called for a slower process, and deeper input from a broad array of stakeholder groups. The joint committee is scheduled to meet Thursday. Gov. Roy Cooper is still awaiting Senate confirmation of some of his appointees to various boards and agencies, and that is scheduled to begin immediately. N.C. Utility Commission nominees Charlotte Mitchell and ToNola Brown-Bland are on the Wednesday Commerce and Insurance Committee agenda. N.C. Board of Agriculture nominee Franklin Allen is on the Agriculture/Environment/Natural Resources Committee agenda. It’s possible action could be taken on legislation frozen in conference committees or override votes on three remaining gubernatorial vetoes. The General Assembly already voted to override 10 Cooper vetoes. Standing vetoes are House Bill 205, a newspaper legal advertisement measure, House Bill 511 to allow nonprofit organizations to hold fund-raising game nights, and House Bill 576 requiring the Department of Environmental Quality to turn landfill leachate and wastewater into an aerosol spray for disposal.